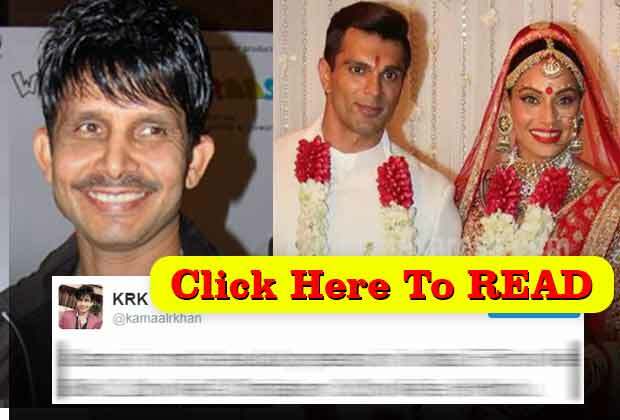 [tps_footer]Kamaal R Khan aka KRK, who is known for his unwanted comments and defamatory remarks against Bollywood actors, has struck again and this time, he has targeted none other than newly married couple Bipasha Basu and KSG. 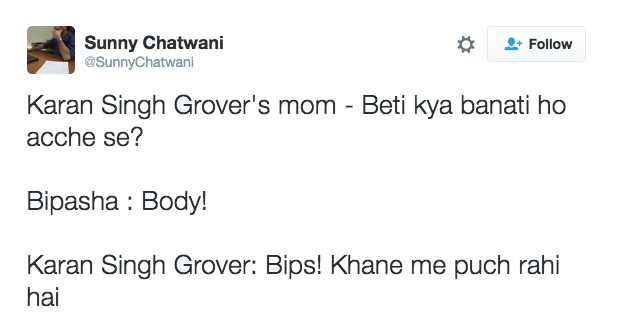 The motor mouth took a dig at Karan‘s third marriage and it’s quite hilarious. 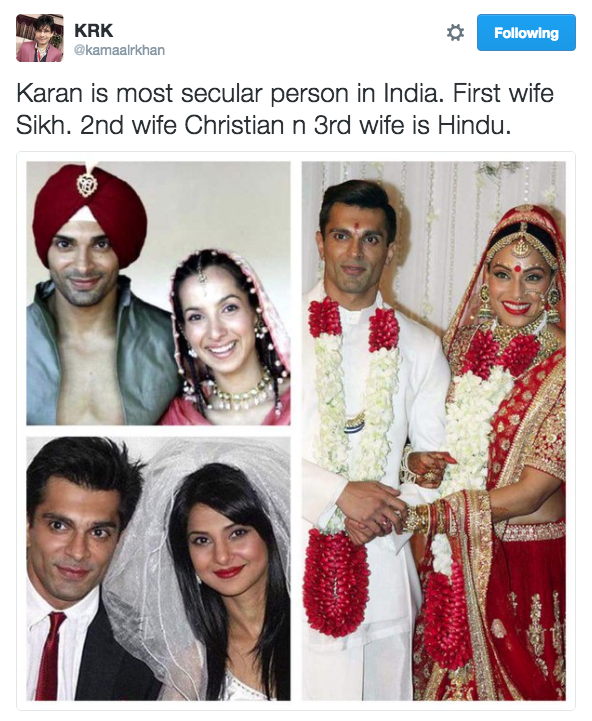 As we all know, Karan Singh Grover tied the knot with girlfriend Bipasha Basu on April 30. The two much in love couple got hitched in a star-studded affair with who’s who of the B-town present at the grand wedding to bless the couple. 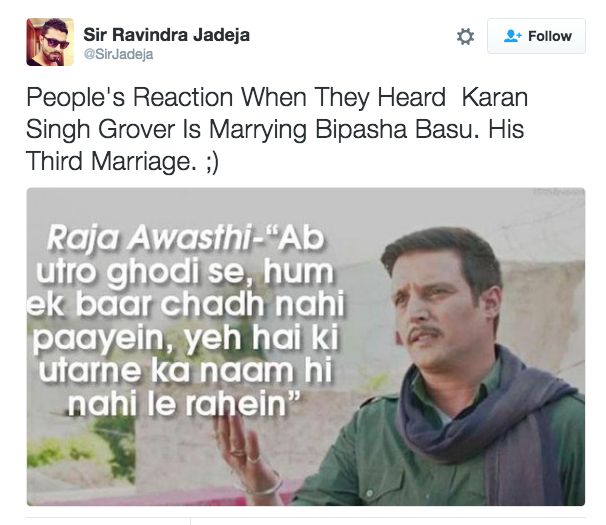 Karan Singh Grover’s marriage and divorce with Shraddha Nigam and Jennifer Winget had become a talk of the town when he announced to marry Bipasha Basu. In fact, KSG was also trending on twitter after people started trolling the actor on his third marriage. The handsome hunk was being trolled on social media, as he was marrying for the third time! Well, this time even we agree with Kamaal R Khan aka KRK, how about you? 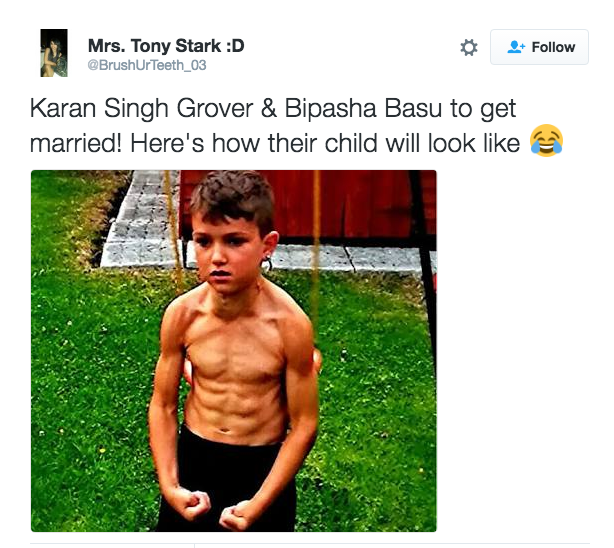 Previous articleBipasha Basu’s Ex-Boyfriend Posts A Message About Her And Karan Singh Grover! Next articleShraddha Kapoor Speaks Up On Her Link Up Rumors With Aditya Roy Kapur!